Sara Rebecca Abeles aka Sara Gilbert is an American actress who is most known for her role as Darlene Conner in the ABC sitcom named Roseanne. For her role in the show, she even earned two Primetime Emmy Award nominations. Further, Sara Gilbert is also the creator of the talk show named The Talk. 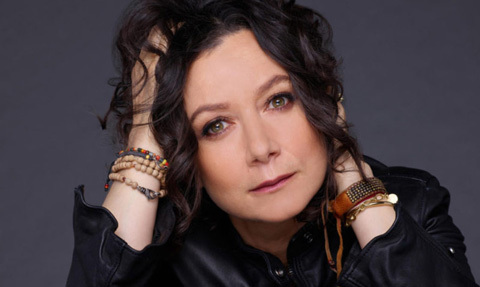 Today we are going to discuss some of the interesting facts about Sara Gilbert. Sara Gilbert was born on 29 January 1975 in Santa Monica, California. She attended a private school in California and then joined Yale University. She completed her graduation from the same University with major in art and photography. The talented actress, Sara Gilbert made her appearance for the very first time on Television in a Kool-Aid ad. Then she performed the role of Darlene Conner in Roseanne. She was also one of the cast members in the show’s nine years running. Are you all shocked when you heard the news? Don’t be shock yes it is true that Sara Gilbert turned to be a gay. She knew that she was gay when she was in a relationship with Johnny Galecki. Later she began her relationship with Allison Adler, one of the famous American Canadian television producer and writer. However, in 2011 Sara announced that she was separated with Allison. The duo was even blessed with two sons named Sawyer Jane and Levi Hand. We all guess that Sara’s fans and followers are quite unknown with the fact that she is the sister of Melissa Gilbert. Her sister, Mellisa was the only person whom Sara followed so hard in order to catch her footsteps to be an actress. Since 1983 she was in the field of entertainment and till date, she is going strong with it. her main passion is to act and she loves doing it in a proper way. As of now the renowned actress, Sara Gilbert is one of all those happy ladies. since 2011 she began dating Linda Perry and even accepted the fact that she is in a relationship with Linda. The couple was engaged and later on, they tied the knot in 2014. Sara and Linda are also blessed with a baby boy named Rhodes Emilio Gilbert Perry. As of now, the duo seems to be more happy with each other. Sara Gilbert is vegetarian from her early teen days. When she played a role of Darlene in Roseanne she found trouble in school so she became a vegetarian and an animal rights activist since the time. Later in an interview with The Late Late Show along with Craig, she explained that she has adopted a vegetarian life since she was 13 years old. Last Updated on January 28th, 2019Short Description of Candice Patton Candice Kristina Patton, aka Candice Patton, is an American actress, best known for her breakthrough role in The CW superhero television series titled The Flash, appearing as Iris West. A post (Read more)…. 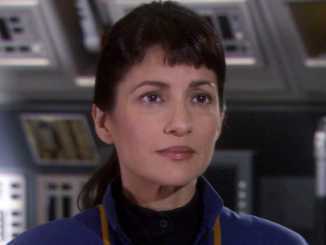 Last Updated on April 19th, 2019Ada Maris is a Mexican-American actress who is best known for her starring roles in the sitcoms Nurses and The Brother Garcia. Also, she has been in the American prime time NBC series, Deception. Maris is (Read more)….